Alex's Ugly Sauce, Bob's Turkey Farm, Flat's Mentor Farm, Jaju Pierogi, El Colombiano Coffee, and Patti with On the Edge Knife Sharpening. Adelante Shoe Company will be back! Adelante's mission is to hand make top-of-the-line shoes at a great value for the discerning global citizen. With such a responsible mission and utterly inspiring craftsmanship, you won't want to pass by this vendor stall. For more information on Adelante Shoe Co. and their involvement in the new social impact model called the Living Well Line see link below. 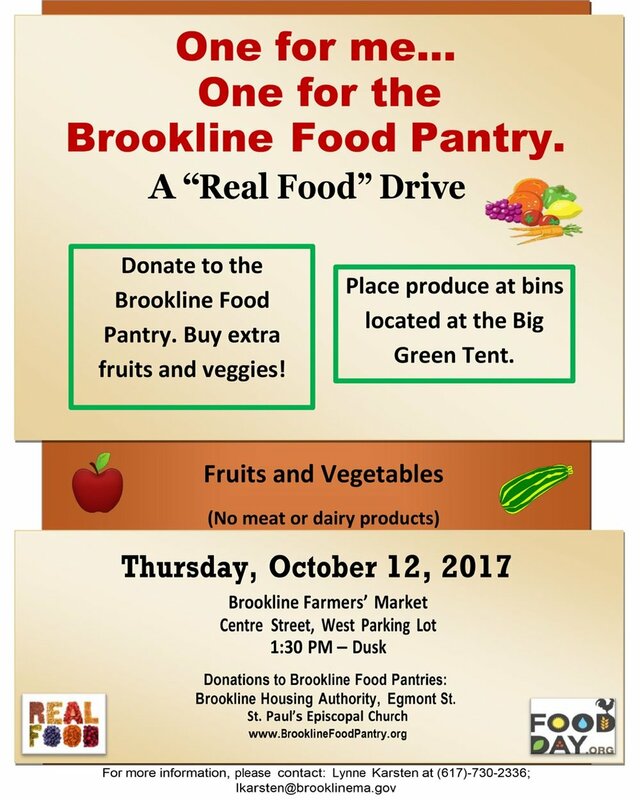 The FOOD DRIVE is this week!